Endocrine or hormone systems are found in all mammals, birds, fish and other living organisms. In general, these endocrine systems are comprised of a gland that produces hormones and secretes them into general circulation or into spaces around the cells near the glands. Tissues all throughout the body have receptors that respond when the hormone binds its receptor. The effects of this binding are varied and are linked to the development, growth and the overall health of the organism. Although there are many different hormones present in the body, three very important hormones are estrogen, androgen, and thyroid. As hormone signaling is crucial for proper development and growth of many organisms, chemicals or drugs that interrupt normal endocrine signaling and function can result in developmental defects, interference with reproductive processes, increase the risk for some types of cancer, and even alter the function of the immune and nervous systems. Chemical mediated endocrine disruption can occur when a compound mimics the endogenous hormone and activates the signaling pathway, resulting in over stimulation or false hormone may activate the signaling pathway at an inappropriate time. Disruption of normal endocrine signaling can also occur if a chemical binds to the endogenous hormone receptor and blocks the subsequent binding of the natural hormone. Although environmental exposure to certain endocrine disruptive chemicals has been clearly linked to adverse effects in wildlife and domestic animals, the health effects to humans exposed to low environmental levels of these chemicals is less clear. In recent years there has been a decline in the quantity and quality of human sperm. There has been an increase in certain cancers, such as breast, prostate, and testicular. Because these cancers can have an endocrine basis for development it is possible that these trends may be due in part to a greater abundance and hence a greater exposure of humans to chemicals with endocrine activity. A primary focus for endocrine screens has been on the Hypothalamic-Pituitary-Gonadal axis. General screening assays to evaluate a chemical or environmental samples (water or soil) potential for estrogenic or androgenic activities is a first tier approach. Estrogen (ER) and Androgen (AR) receptor transactivation assays that test for chemical ER or AR agonists are designed to identify estrogenic or androgenic functional activity. This means that if a positive response is measured in the system, the response is due to chemical binding to the ER or AR receptor and subsequent binding of the chemical-receptor complex to the respective DNA response elements (ERE or ARE regions) to induce the expression of a reporter gene, such as luciferase. Chemical antagonism can also be assessed by evaluating the test chemicals ability to activate the signaling pathway in the presence of the endogenous ligand (e.g. estrogen) at a single concentration. 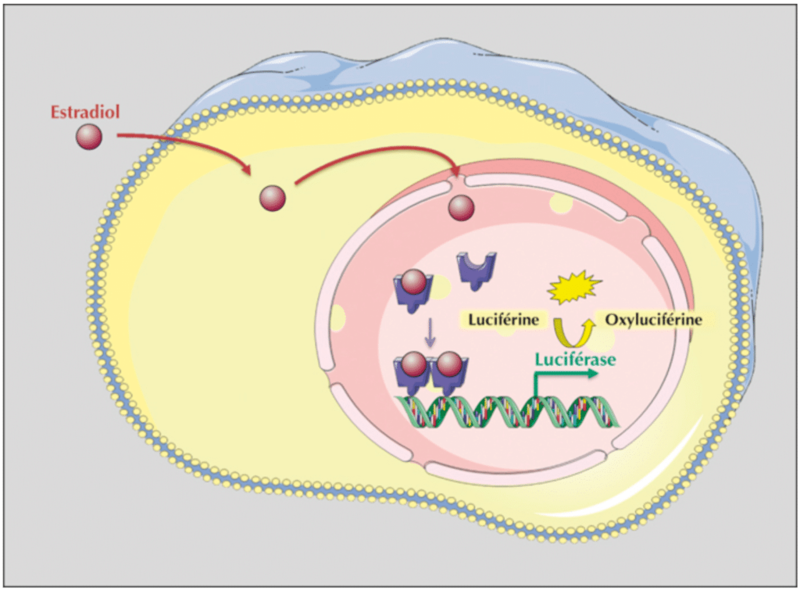 A diminished response in luciferase expression when compared to estrogen alone would indicate antagonism. In order to improve the detection of ER or AR active chemicals in large water sources it is sometimes necessary to concentrate the samples by solid phase extraction with OASIS HLB columns. The efficiency and reproducibility of this process can be tracked by including water samples spiked with the analyte of interest and then quantifying the recovery of the analyte following the extraction procedure by LC/MS/MS. Understanding direct receptor binding can provide important information on binding affinity relative to endogenous molecules and provide information on IC50 for test material binding. These assays can be done using either human or rat estrogen or androgen receptor. The receptors are incubated with endogenous ligand that has been radiolabeled. The test material is titrated into the system and the displacement of the endogenous ligand recorded. 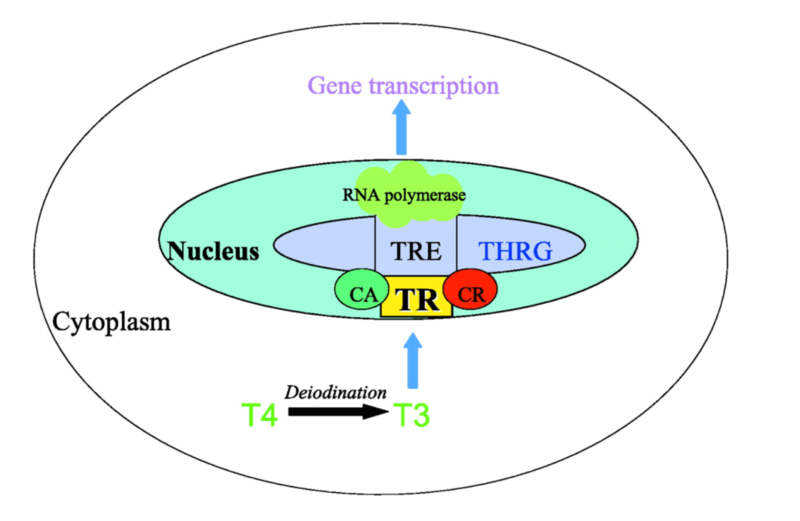 The control and tight regulation of circulating thyroid hormones T3/T4 is important for normal metabolism, growth, development, and reproduction. 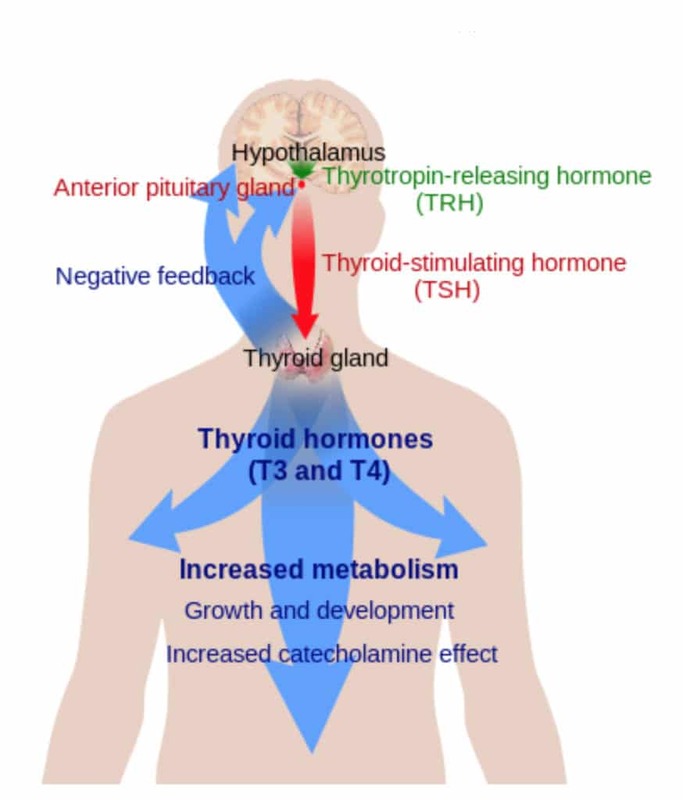 Endocrine disruptive chemicals can interfere with thyroid physiology by altering TRH release from the hypothalamus, or TSH release from the pituitary, or by interfering with thyroid hormone binding to the thyroid receptor. Polychlorinated biphenyls (PCBs) directly block or competitively inhibit thyroid hormone binding to its receptor. IONTOX can evaluate drugs or chemicals for interaction with thyroid receptor and functionality of chemical binding using a thyroid transactivation assay.